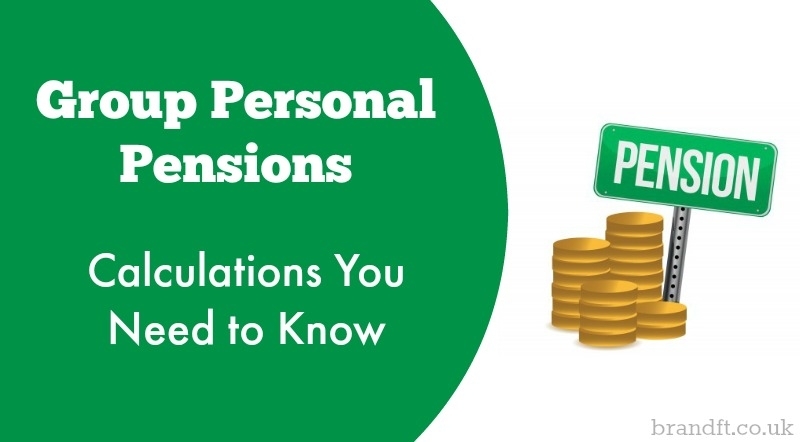 The following presents a question and detailed answer, as it may appear on a CII Pensions exam, regarding additional Group Personal Pension (GPP) contributions. If you are sitting the CII AF3 or R04 exams, then this post is of particular use. She has a salary of £60,000 along with a performance-related bonus of £10,000. She has gross interest from her savings of £3,500. The GPP has a twelve-month pension input period ending on 31st December each year. Susan has made no monthly contributions in the last few years, but has paid in the following grossed-up amounts: £20,000 in July 2014; £28,000 in January 2015. Susan’s employer has also made a contribution of £30,000 in December 2014. Susan has no unused annual allowance available to carry forward. How much of an additional lump sum contribution can Susan pay into the GPP in March 2015 and still receive tax relief on the full amount. The annual tax charge payable for 2014/15, if any. The gross amount that Susan can contribute into her pension in 2014/15 and receive tax relief on the contribution is limited to £3,600 or 100% of her relevant UK earnings, whichever is higher. Relevant UK earnings are income from employment, profit from self-employment, income from patents treated as earned income, and earnings from an overseas Crown employment subject to UK tax. In Susan’s case this is her £60,000 salary plus her £10,000 bonus i.e. £70,000. The interest from her savings does not count as relevant UK earnings. The £70,000 figure relates to the current tax year i.e. 6th April 2014 through to 5th April 2015. Having established the overall tax relievable contribution is £70,000 (gross), we then have to deduct any personal contributions already paid in during the 2014/15 tax year, as we are seeking to establish how much of an additional contribution she can pay in and receive tax relief on the full amount. Susan has already paid in £48,000 (£20,000 in July 2014 and £28,000 in January 2015), so she can pay in a further £22,000 in 2014/15 and receive tax relief. Susan’s employer’s £30,000 contribution paid in December 2014 is not relevant as employers can make unlimited contributions and receive tax relief (provided the wholly and exclusively rules are met), and it does not impact on the amount that Susan herself can pay in and receive tax relief. With regards to any possible annual tax charge payable, the question is referring to the possibility of there being an annual allowance charge. It is important to understand that while in the real world of advising clients the annual allowance will effectively restrict the amount of tax relief available, nonetheless in ‘exam’ world it is a tax charge that is separate from the maximum overall tax relievable contribution from the earlier part of the question. It is vitally important to be clear what the exam question is asking you to do. The annual allowance charge is payable where the annual allowance for the current tax year plus any unused annual allowance available to carry forward from previous years is exceeded. In this scenario there is no unused annual allowance available to carry forward. The annual allowance for 2014/15 is £40,000. In order to establish if any annual allowance charge is payable, we need to establish the pension input amount in the pension input period (PIP) ending in the current tax year. Susan’s GPP has a PIP ending on 31st December each year – we are therefore interested in the pension input amount that falls into the PIP ending 31st December 2014, as this is the PIP that is tested against the 2014/15 annual allowance. Pension input amount for someone with a defined contribution scheme is simply contributions from all sources. The pension input amount for Susan therefore is her £20,000 gross contribution in July 2014 and her employer’s contribution of £30,000 in December 2014. Susan’s £28,000 gross contribution in January 2015 is ignored as it falls in the PIP that will end in the 2015/16 tax year (31st December 2015). As the total pension input amount of £50,000 (£20,000 + £30,000) for the PIP ending in 2014/15 exceeds the annual allowance (£40,000) for 2014/15, Susan will be liable for the annual allowance charge based on: £50,000 – £40,000 = £10,000. As Susan is a higher rate tax payer with plenty of headroom before she becomes an additional rate taxpayer, the annual allowance charge will be at her marginal rate of 40%, and so the charge will be £10,000 x 40% = £4,000. Are you prepared for any questions that may come up with regards Group Personal Pensions in AF3 or R04? Are you feeling confident? If you’re studying for your CII AF3 exam, and you’re wanting to be prepared on exam day, grab our free taster to try out one of Brand Financial Training’s resources for yourself. Click the link to download the AF3 Mock Paper taster now! Alternatively, you can download a taster for R04 if that is the exam in your sights.